There was a higher incidence rate of a first pneumonia event requiring hospitalization in the LABA/ICS cohort compared with the LABA/LAMA cohort. 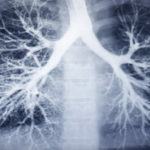 Combination therapy with long-acting beta₂-agonists (LABA) and long-acting muscarinic antagonists (LAMA) seems to be as equally effective as combination therapy with LABA and inhaled corticosteroids (ICS) in preventing exacerbations of chronic obstructive pulmonary disease (COPD), according to a study published in CHEST. Using an incident new-user cohort design with data from the Clinical Practice Research Datalink, investigators identified patients aged ≥55 years diagnosed with COPD and on ≥1 prescription for LABA/LAMA (n=1977) or LABA/ICS (n=1977) from January 1, 2002, through December 31, 2015. To allow for identification of new use and permit baseline measurement, patients needed to have 1 year of medical history information prior to initiating treatment. Patients were then followed for up to 1 year from the date of treatment combination initiation or earliest discontinuation, addition of ICS for LABA/LAMA or addition of LAMA for LABA/ICS, patient death, or end of coverage in the practice, whichever came first. The primary outcome was the first moderate or severe exacerbation of COPD after cohort entry. In the LABA/LAMA initiators, the incidence rate of a first moderate or severe COPD exacerbation was 76.3 per 100 per year compared with 74.1 per 100 per year in LABA/ICS initiators (adjusted hazard ratio, 1.04; 95% CI, 0.90-1.20). The incidence rate of the frequency of moderate or severe exacerbations was 90.7 per 100 per year in the LABA/LAMA cohort and 83.2 per 100 per year in patients taking LABA/ICS (adjusted rate ratio, 1.07; 95% CI, 0.92-1.25). There was a higher incidence rate of a first pneumonia event requiring hospitalization in the LABA/ICS cohort (7.7 per 100 per year) compared with the LABA/LAMA cohort (5.1 per 100 per year; hazard ratio, 0.66; 95% CI, 0.41-1.05). Limitations included potential misclassification as a result of the analysis based on written prescriptions that may not necessarily have been dispensed. Only one-third of patients continued combination treatment for the 1-year follow-up, but this likely reflects real-world clinical situations. These findings suggest that LABA/LAMA combination treatment is as effective as LABA/ICS combination treatment in preventing exacerbations of COPD. Plus, the LABA/LAMA combination is also associated with fewer pneumonia events requiring hospitalization than LABA/ICS. Disclosures: This study was supported in part by Boehringer-Ingelheim. Please refer to the reference for a complete list of authors’ disclosures.